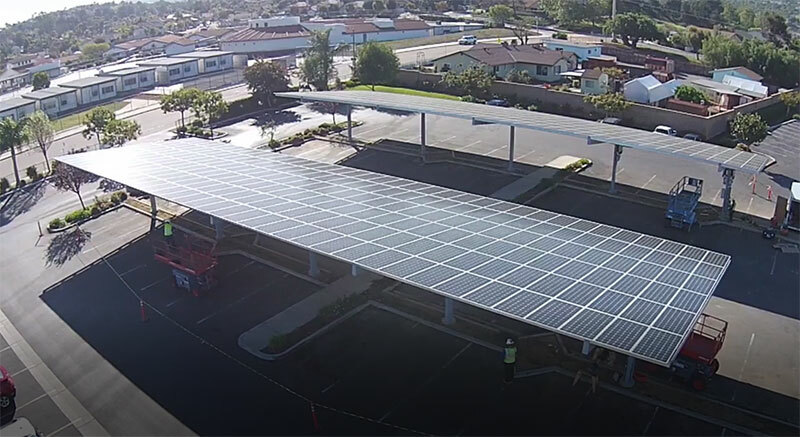 The Clean Coalition designed a Feed-In Tariff (FIT) with streamlined interconnection for San Diego. FITs are powerful tools that leverage a standardized power purchase agreement (PPA) to bring clean local energy online quickly, reliably, and cost-effectively. The City partnered with the Clean Coalition to determine both the technical potential of distributed solar within the city and a potential solution to the financial/economic limitations that currently exist in the market in order to manifest that technical capacity — the Solar Siting Survey and accompanying Feed-In Tariff design white paper. The City commissioned the deliverables from the Clean Coalition as participants in the Solar Energy Innovation Network (SEIN). The SEIN’s innovative program design assembles diverse teams of stakeholders to research solutions to real-world challenges associated with solar energy adoption. The program brings together teams of stakeholders from across the United States — including utilities, state and local governments, nonprofits, innovative companies, and electric system operators. With the support of technical experts from national laboratories and other research institutions, these teams work to implement innovative applications of solar and distributed energy resources (DER) in their unique locations and contexts. The solutions developed by the teams are demonstrated and validated in real-world contexts, making them ready for replication and scale. The City of San Diego is a leader in solar deployment in the community and is also advancing solar deployment across municipal facilities. The Clean Coalition has conducted Solar Siting Surveys and FIT designs for multiple cities. Final Draft FIT Design Recommendations for San Diego to come. Download the FIT vs BAU economic analysis for San Diego (Excel spreadsheet). 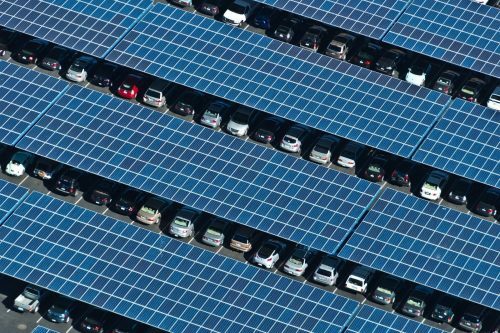 Most sites in the built environment that can host solar systems, such as parking lots, do not have the onsite demand for net metering to make financial sense; net metering only works for sites whose net power use is equivalent to the power generation of the solar system. Many buildings that could site solar have the problem of split incentives between building owners and renters. Some procurement mechanisms fail to send the correct market signals for the value of renewable energy, storage, and locational value. Because of issues like these, a mechanism is needed to allow a developer to sell the power generated by a solar system to a load-serving entity in such a way that incentivizes the deployment of solar across the built environment. The FIT developed by the Clean Coalition addresses these market constraints and needs. A pricing comparison between the SD FIT and SDG&E’s business-as-usual (BAU) renewables procurement, on a 20-year levelized basis, shows that local renewables procured under the San Diego FIT will cost less than half the price of SDG&E’s BAU renewables, which would almost entirely be remote centralized renewables that also require exorbitantly expensive transmission lines. The analysis found that the FIT-procured local renewables will cost 5.3 cents/kilowatt-hour (kWh), compared to 14.1 cents/kWh for BAU-procured renewables. Another innovation in the San Diego FIT design is a Dispatchability Adder to make renewable energy available whenever it’s needed, instead of only when the sun is shining or the wind is blowing. The San Diego FIT also includes a community benefit adder to encourage project siting in disadvantaged communities and on tax-exempt facilities, such as municipal properties, nonprofit facilities, public housing, and schools. New resource: The generating resource should be new, meaning that it has not produced or delivered electric energy prior to the date in which the LSE receives its application. Location: The project should be located entirely within the City of San Diego. Technologies: All technologies that are compliant with California’s Renewables Portfolio Standard (RPS) requirements should be eligible to participate in the FIT. Project sizing: The maximum recommended project size was set at 3 MW. This is slightly larger than the sizing in some FIT programs; however, the City of San Diego offers plenty of large project siting opportunities, and this larger size will enable lower pricing for clean local energy through increased economies of scale.